More and more films are beginning to use a large amount of visual effects, but this is not a bad thing. VFX, or visual effects, is a wonderful tool that can be used to enhance a film. Visual effects bring to life a world which was once not possible to create for cheap, nor practical to create in the first place. When working on a film, science fiction or fantasy, for example, the need to create things that are out of this world are often necessary. However, visual effects aren’t exclusive to JUST sci-fi or fantasy films; there are drama films that also utilize copious visual effects, for example, Wolf of Wall Street used quite a lot of VFX heavy shots for very simple scenes. In simplest terms, visual effects is the melding of live-action footage with other bits of footage or special effects and imagery to achieve another particular effect. This type of work is done for either budgetary reasons, practical reasons, or if it’s too complicated to film. Visual effects have been around for a long time, even before computers through the use of matte paintings and Chroma Key. When computers began to be used to develop CGI sets (props, characters, etc. ), matte paintings and green screen began to be utilized in conjunction with CGI. 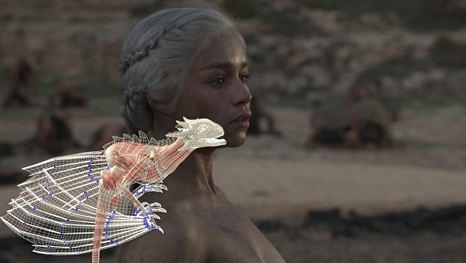 Within the last 15 years, VFX magicians have figured out how meld the digital and real world with seamless precision. The most notable example of this seamless integration with CG elements and live-action footage are many of Neill Blomkamp’s fims. To produce the images of a CGI heavy film, it doesn’t take a village, it takes a city. For the film Iron Man 3, there were 17 different visual effect houses that worked on that film including Peter Jackson’s co-owned Weta Digital.